Personal Attention. Always the Same Dentist. We are always welcoming new patients and we would love to have you as part of our dental family. Please explore our web site to learn more about us. 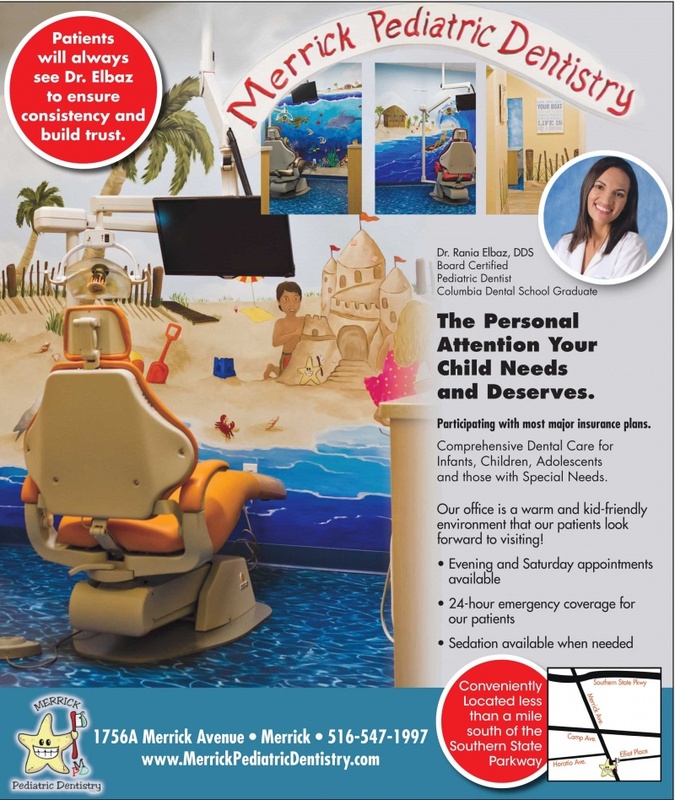 At Merrick Pediatric Dentistry we pride ourselves on the personal attention we give to each and every one of our patients. You will never feel like you are "just another patient." Your children will always be seen by Dr. Rania. This will create the consistancy and comfort that is so important to young children! Dr. Rania Elbaz spent many years of her childhood moving around. Born in Egypt, her family moved to Nigeria, back to Egypt, and then to Canada, because of job opportunities that arose for her father. In 1994, Elbaz settled in Merrick with her family, including her father, Youssef, mother, Zeinab, sister, Noha, and brother, Adam. “I’ve lived in all these different places, but in the end, this feels the most like home,” said Elbaz, 33, who now lives in North Merrick with her husband, Zachary, a neonatologist, son, Amir, 3, a student at Twin Oaks Country Day School in Freeport, and daughter, Noora, who is 11 months old. Elbaz, a Calhoun graduate, has practiced pediatric dentistry as an associate at Long Island offices. In early November, she will bring her practice home to Merrick. Shortly after, Elbaz shadowed Bellmore dentist Laurie Litwin, who advised her to go into dentistry. “That’s what ultimately pushed me in that direction,” she said. 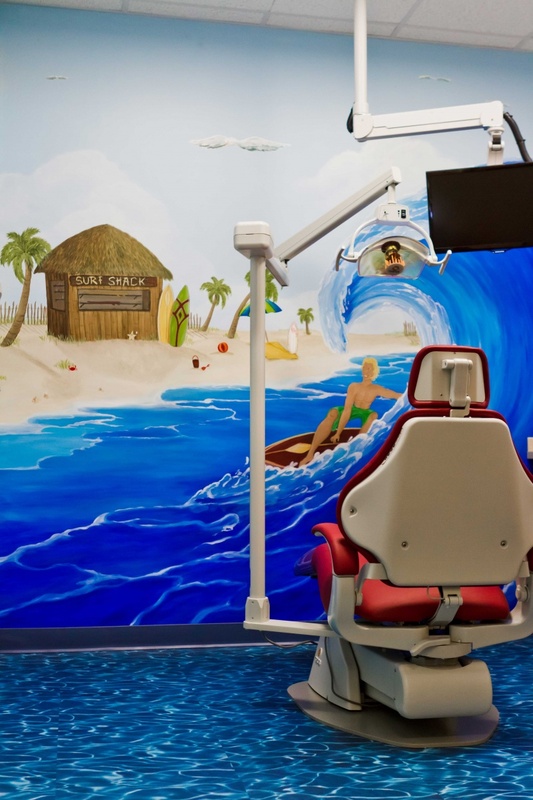 Elbaz, who sees patients as young as 1 year old, said she is aware of the fear that children associate with going to the dentist, but she said she hopes to change that perception. “We want to get them to the point where they look forward to coming and they’re excited to be there,” she said. Elbaz said that she was afraid of the dentist as a child. “I hated the dentist as a kid,” she said. “I was scared of needles. To help her patients feel comfortable, Elbaz said she makes up names for her dental instruments to put the children at ease. “We come up with creative names for everything and make up a story out of the whole experience, like we’re painting a princess on their tooth instead of putting the filling in,” she said. Elbaz said that she had always wanted to work in Merrick, but could not find the right office until recently. For now, she will work select days of the week, sharing a space with another dentist. Her office is located in the first-floor suite of a house on Merrick Avenue, just south of Sacred Heart School. Elbaz said she hopes to eventually find her own office farther south on Merrick Avenue, in the Merrick business district. “I love that downtown area, and I like that feeling of being there,” said Elbaz, who added that she used to frequent Via Roma pizzeria and restaurant for lunch while a student at Calhoun. 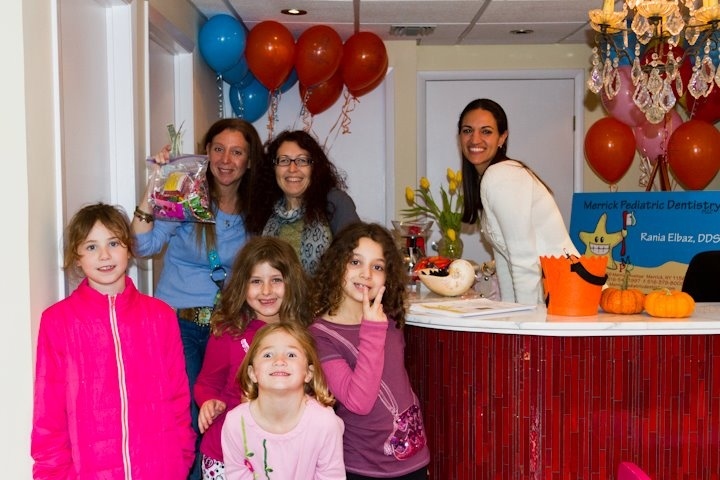 Elbaz will hold a “candy buy-back” in her new office on Nov. 2 from 3 to 7 p.m. Open to all children in the community, the event will aid Operation Gratitude, a nonprofit organization aiding U.S. troops overseas. Dr. Rania Elbaz is a board-certified pediatric dentist. She earned her dental degree from Columbia University. She then completed her pediatric dental training at UMDNJ-New Jersey Dental School. 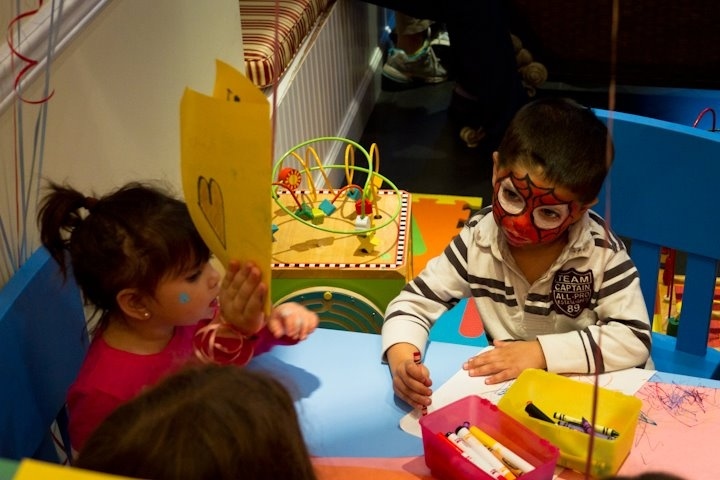 Dr. Elbaz loves working with children and strives to create a warm and fun environment that children look forward to visiting. Dr. Elbaz sees every patient in order to ensure consistency that is so important to young children. The office welcomes and gives extra time and attention to patients with special needs. The office also participates with most major insurance plans.